Fluid turbulence subjected to a stabilizing density gradient erupts in spatiotemporally intermittent patches, a phenomenon termed "stratified turbulence,'' with which we are all familiar from riding in airplanes. In addition to being patchy, stratified turbulence involves an enormous range of length scales, which are evident in figure to the right. At larger scales, the turbulence is highly anisotropic and approximately two-dimensional because the buoyancy force strongly suppresses overturning motion. Below some length, called the Ozmidov length scale, three-dimensional turbulence can occur. At an even smaller length, termed the Kolmogorov length scale, turbulent motion is suppressed by viscous forces. The ratio of the Ozmidov to the Kolmogorov lengths scales is related to the buoyancy Reynolds number which characterizes the dynamic range over which three-dimensional turbulence can occur in a stratified flow. For research simulations to help answer questions about atmospheric and ocean turbulence at engineering length scales, they must have buoyancy Reynolds numbers near the limit of current high performance computers. The U.S. Department of Defense High Performance Computing Modernization Program has provided 750 million core-hours on its largest machine to enable such simulations as part of its Frontier program. O. Flores, J. J. Riley, and A. R. Horner-Devine. On the dynamics of turbulence near a free surface. J. Fluid Mech., pages 248--265, 2017. A. Muschinski. Optical propagation through non-overturning, undulating temperature sheets in the atmosphere. J. Opt. Soc. Am. A, 33(4):793--800, 2016. A. Muschinski. Non-Kolmogorov turbulence. In Proceedings of the OSA Imaging and Applied Optics Congress (San Francisco, CA, 26-29 June, 2017), pages PW2D1--1--PW2D1--3, 2017. J. J. Riley T. Watanabe, K. Nagata, R. Onishi, and K. Matsuda. A localized turbulent mixing layer in a uniformly stratified environment. J. Fluid Mech., submitted. 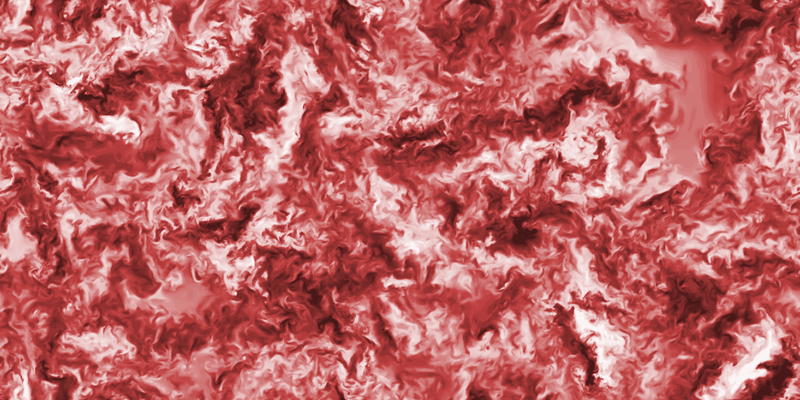 Vertical velocity on a horizontal plane in high resolution simulations of turbulence. Dark color indicates upward flow, light color downward flow. On the top is unstratified turbulence. 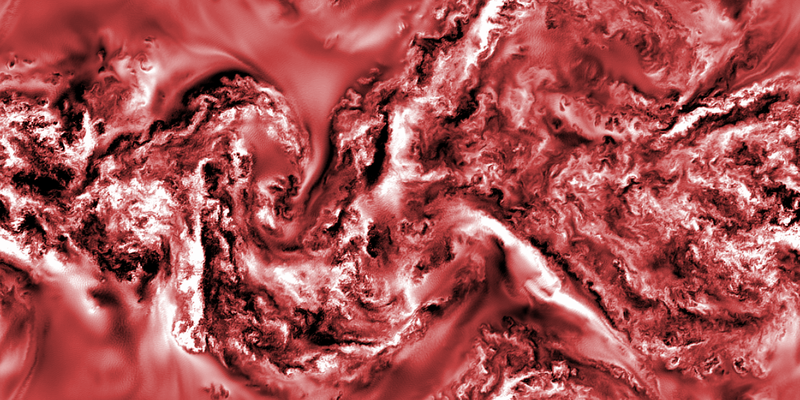 On the bottom is stratified turbulence that is driven by large-scale horizontal motion; note the intense turbulent patches and the non-turbulent region near the top center of the image. Unless very wide ranges of length and time scales are included, simulations of stratified turbulence can neither replicate individual patches of turbulence nor provide information on their sizes and lifetimes; this is because stratified turbulence is inherently multi-scale and nonlinear due to the presence of a population of such patches.